Chaos ensues as Rome abandons Britain, leaving native Britons alone to defend their shores from the growing Saxon invasion. Set in 5th Century Britain, this retelling of the traditional legends of Merlin, King Arthur, and Avalon, blends a mixture of historical fact with Arthurian fantasy. Refreshingly innovative, the tale spans the mysterious birth of Merlin, climaxing with the conception of Arthur, the legendary future king of Britain. 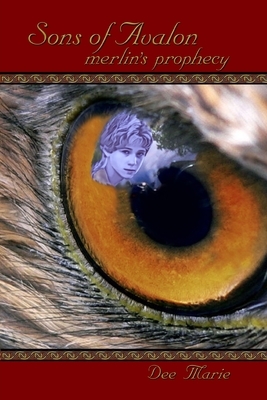 A young Merlin advises three High Kings: to fight through the bedlam, fight for the right to rule, fight to save the future treasure of Britain Interlacing love, revenge, mystery and murder, with a dash of humor, this coming of age adventure is a guide through the shrouded tales that embrace the Sons of Avalon.